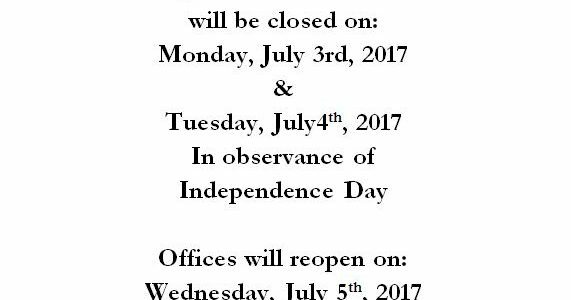 Village offices will be closed on Monday, July 3rd and Tuesday, July 4th in observance of Independence Day. Please note that all tax payments due July 1, 2017 will be honored on Wednesday, July 5th, 2017. Have a great holiday!